There are a few that I would recommend… some that I have heard recommended but would never use..
A maker of cutting boards on Ebay touts vegetable oil… I personally would never apply vegetable oil of any kind to one of my boards.. Most vegetable oil will turn rancid. 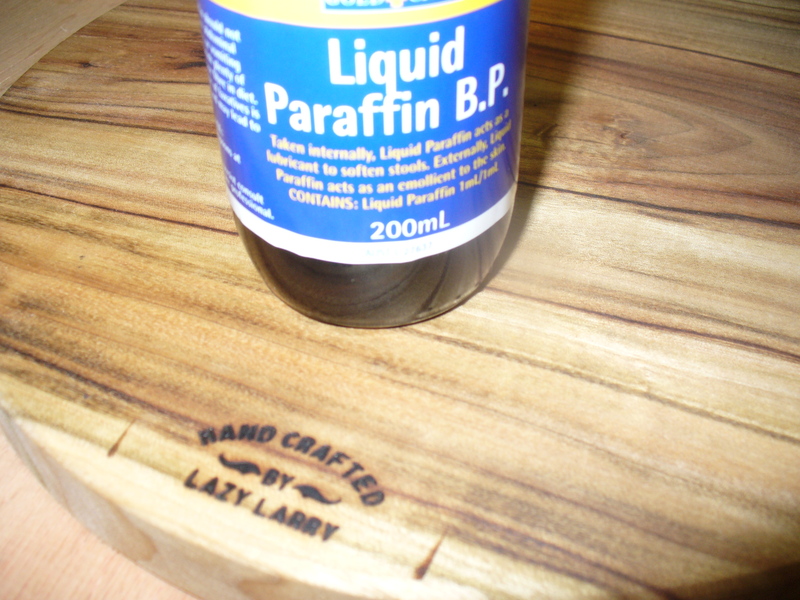 Do not confuse this oil with the paraffin oil available from the paint department of your local hardware. It is not as refined and is not as viscous.. This viscosity allows you to use less to cover the board..
To use spread oil onto the board with a piece of kitchen paper. The board should be re-oiled whenever it seems dry.. 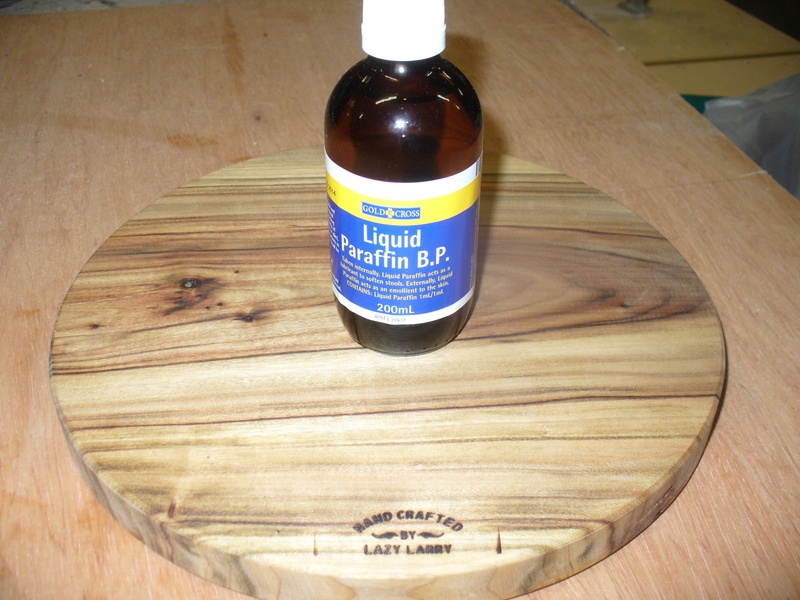 This oil can be purchase at your local Pharmacy for around 6 bucks for 200 mls and if you would like to read some more about board care… you can go to Kitchen Beginnings “Love That Board” , David Sturm’s “Wooden Cutting Board Care and Cleaning Instructions” or the Crafty Culinarian’s “Refinishing My Board“. This entry was posted in General, techniques and tagged Cutting Boards, oil. Bookmark the permalink. I will sometimes gently heat the mineral oil and add a little beeswax to it forming a very thin paste . This provides a little more protection for the board along with longer maintenance intervals . Just a little goes a long ways ! Thanks for the email Larry, I was lucky enough for the human consumption to be past its expiry date at the chemist so he gave me 2 x 200 ml bottles for free once he found out what I was using it for! Thanks for sending this link to me. I found it very helpful.